Two of my closest friends recently had their first babies, and I’ll admit, I was nervous about how it was all going to go down. 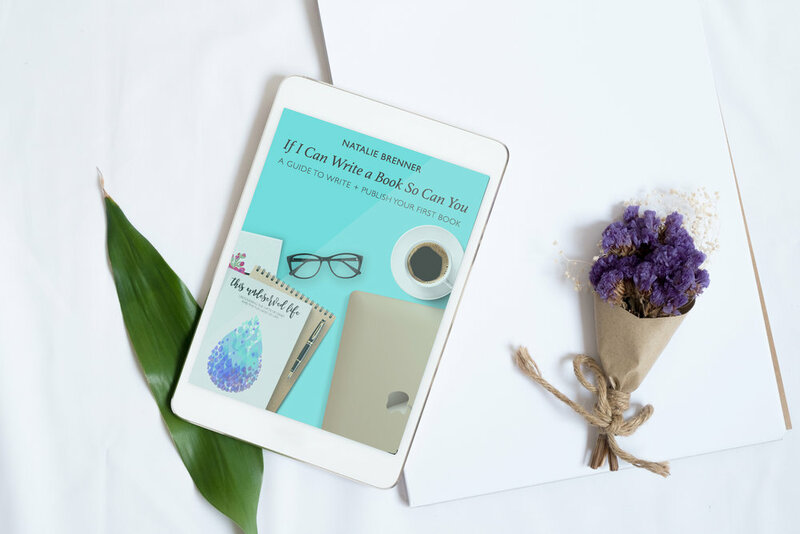 I didn’t know what negative feelings might surface as I was reminded – yet again – that their story would never be my story. We get to hear from Anna's beautiful heart today. 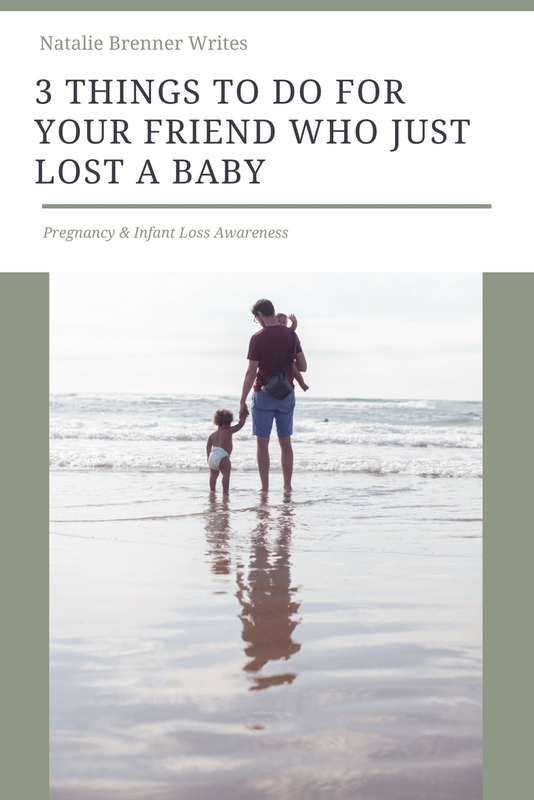 Losing a baby is a tragic and irrevocable loss, whether via miscarriage, stillbirth, or infant loss. Not only is it tragic, but you don't ever forget the trauma and loss. Your baby was a part of you and deserving of his or her space in your life. (S)he moves into your heart, taking up residence as sorrow and grief for the rest of your time on earth. Irrevocable loss is like that: it creates a sorrow that just sort of moves into you. Sometimes its quiet and unnoticeable, other times its loud and hurts like nothing else. Where Is God And Why Is Grief So Heavy? I was furious, and felt betrayed. The days unfolded one at a time, slowly and painfully, holding horrors I never imagined experiencing. When doctors warned me of the possibility of miscarriage, I had no idea the toll it would take on me. I had not the slightest hint of an idea I would be wrecked completely, stripped of my will to keep going. I thought I wasn’t handling infertility and the wait well? Love once appeared beautiful and whole to me, deep wells that were free and generous, courageous and brave. The caverns of my soul began expanding showing me how to love beyond measure. 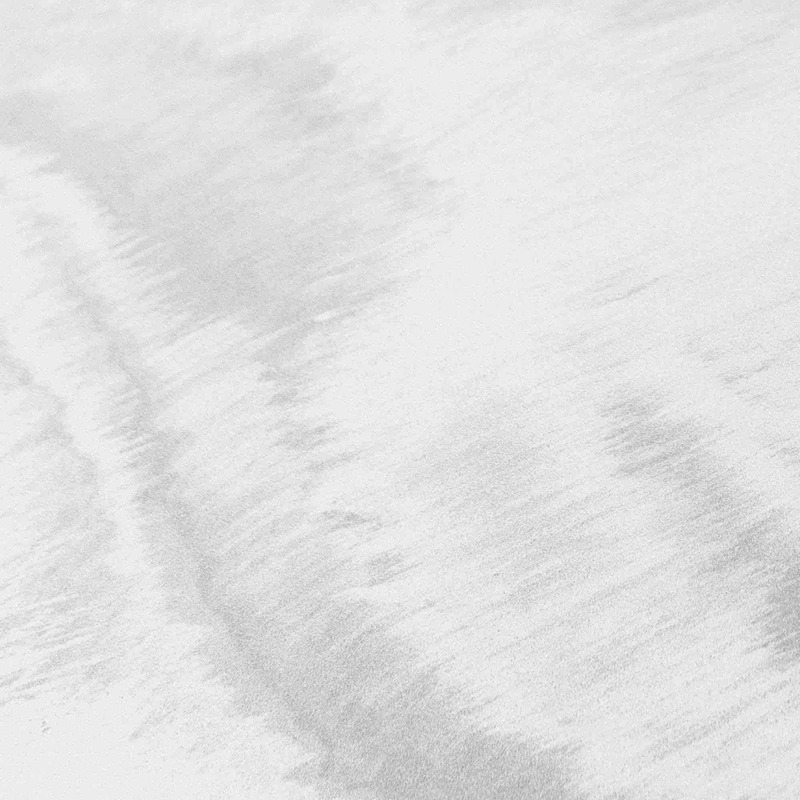 When I looked down to see the spots—pink and too bright and red—covering the stark, white soft paper my soul plummeted into the water below me with a splash. Death is so quick, and grief is the price for such love. The carpet fibers catching my tears were soaked with salty love poured out. Month eighteen of trying to conceive had just passed and I was weary of purchasing pregnancy tests, only to pitch them. I was exhausted from the physical pain of endometriosis. I was worn thin from the emotional pain of waiting. The reality of life is that we’re all waiting on something. Maybe it's something smaller and less significant. But maybe it's something larger that consumes all your thoughts. Financial breakthrough. Healing in your body. A baby. Your husband to return. A job. Scripture discusses the topic of waiting over and over. It also addresses the topic of suffering and facing trials. We are on the other side of infertility. Do I know if I can conceive and carry to term again or if we would experience secondary infertility? No. Do we plan to find out? The answer is complicated. We tried to conceive without medication for over a year. I had a laparoscopy done to remove most of my painful, quickly-spreading disease of endometriosis. We conceived on clomid, a horrible hormone driven drug, only to miscarry. National Infertility Awareness Week: I hated who I had become: the person people didn’t want to tell they were pregnant. An excerpt from my book. Her words were hopeful, thoughtful even, as we sat on the giant rock staring out over the ocean. Her eyebrows were raised, her posture stiff, a question on her face, imploring if I was indeed mad at Him or not. Cassie is a full-time PhD student, part-time blogger at <a href="http://www.sagetheblog.com/" target="_blank">Sage the Blog</a>, and a wild child at heart. She is an atheist turned Christian that strives to share her story of redemption with authenticity and vulnerability. She lives in mid-Missouri with her husband, two cats, and a dog. She is expecting her first child in June, 2017. We are beyond honored to have her share her heart on pregnancy after loss. Last October I should have been 8 months round, nearing my due date in November. But we said goodbye to that little one, so wanted and so loved, so precious and so cherished. It felt so undeserved, losing that little baby we tried so hard for. Staring in disbelief, I heard a shaky voice that couldn't be mine saying, "no, no, no, no, no." My limbs trembled and I collapsed on the bathroom floor unprepared for the fear that had overtaken my entire self. Will I have to say goodbye again? 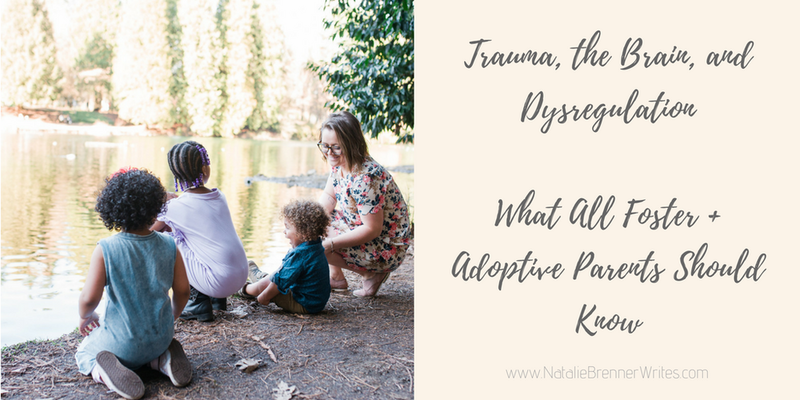 Will our adoption journey be interrupted? What if we lose our adoption journey AND this baby? How will I get through another loss? How will I keep breathing? My body miscarried and rejected our first baby. We wanted that baby. We hoped for that baby. We prayed for that baby. We celebrated that baby. We cried tears of joy and danced celebration for that baby. That baby, Blake, left my womb too soon and we had to say goodbye before we really said hello. That baby, so precious, so loved, so wanted...I believe will one day introduce his family to Jesus. There are up to 10 weeks left before I meet my second born son face to face, flesh on flesh. Could be sooner, but Im planning on being past my due date so that if it passes by like your average day, I am not drowning in depression (which may still happen). Today marks 32 weeks with this undeserved miracle boy. Our official date we are due to deliver is May 25, but I usually follow that with, "But we're planning for June 10th." The term "due date" used to bring me emotions of fear and grief. 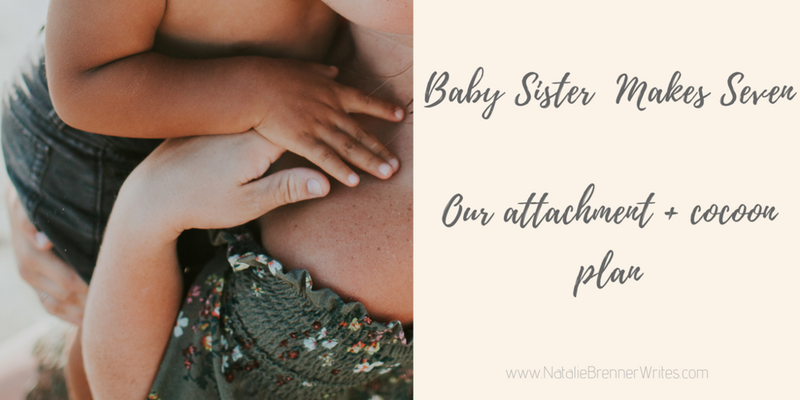 While Loren and I were in the thick of desiring our family to grow and it just not happening, we were praying about pursuing adoption sooner rather than later but were also confident we would still conceive and successfully carry a baby eventually, we had people who love us share stories about adoption and pregnancy following. The stories are always frame-worked as though the adoption had something to do with the wife suddenly being able to become pregnant. It almost always sounded like this, "I have these friends who couldn't get pregnant so they adopted, and then they got pregnant. Have you guys thought about trying to adopt?" 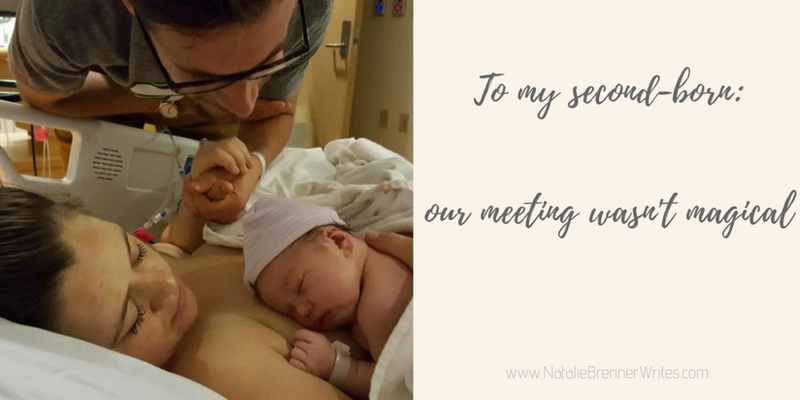 When Natalie asked me to write something for her blog, I wanted to invite you into this small, dark tunnel that is the days following a miscarriage. Because miscarriages happen. Not just to me and my husband, but to you or your friend or your sister-in-law or your pastor’s wife. We have walked into this dark tunnel 3 separate times, and each time, the loss and grief is unique, yet overwhelming. I remember my first miscarriage, lying on the bed, genuinely wondering if I would ever be able to get up again. Every part of me ached. I cried over the loss of dreams, the life that we would never see. I felt physically, emotionally and spiritually strained. God, where are you? Why me? The heaviness almost became unbearable. I could feel the weight of sadness puncturing my soul, encasing me like a thick wool blanket. I remembering feeling so thirsty but knowing that drinking water would only eventually result in a trip to the bathroom, which held a painful, visible reminder to the sorrow I was feeling. One of the many hard parts about miscarrying was realizing that life was still going on around me. Days began to pass and with it, I had to shower, grocery shop, go to work, cook dinner, visit the doctor. The fact that people around me were smiling and laughing seemed so surreal. Didn’t they know how sad I felt? I remember the first time my husband and I laughed together after each of our miscarriages. It almost felt disloyal to our angel baby. Were we allowed to be happy and laugh when that baby never would? Slowly, and only thanks to God’s peace, strength and presence, the sadness got a little less heavy. It still lingered, mostly catching me off guard in small moments - observing a child at Target, watching a mom hustle a crying baby out of a church service, seeing a commercial on TV with a tiny infant. My breath would catch and my eyes would fill. I would slip in and out of present moments and into a delicate room of reflection and sorrow. The reality is, deep grief, that kind that comes after losing a child through miscarriage, stillbirth or infant loss, can be all-consuming. Even when you believe in God, even when you know His promises are good, even when you feel His peaceful reassurance of His presence. Even then, grief is hard. Sadness is real, loss is tangible, yet Hope is at hand. Friends, grieving takes time and there is no right or wrong way to do it. If you need to rest, do it. If you need to scream into a pillow, do it. If you want to hibernate and grieve quietly, do it. If you need to cry, rent The Notebook and sob. If you need to eat McDonald’s French fries, eat them. If you want to go to the movies, grab a drink with friends or sit in a coffee shop, go there. The truth is, there is no wrong way to grieve. Be gentle with yourself. Give yourself the permission to take care of YOU. Be cautious not to shut out your partner. Keep those lines of communication open, even if it’s just to whisper “I feel sad today”. Put your healing first. Trust that those around you know you are doing the best you can. Sometimes it means you simply have to walk through an ocean of tears. Healing takes prayer. It takes bringing your grief to His feet each and every day, even if you have no words left to say. God is big enough for your questions, compassionate enough to gather you in His arms, gentle enough to calm you. And even then, it will still hurt. But, in time, it will hurt a little less. The tears do slow down. I promise. Then, the heavy wool blanket of grief that covered you will start to feel a little bit more like a cotton afghan, then a thin scarf, and at some point, you will be able to separate that fabric from hanging on you all the time. The tunnel opens up, fresh air lets in, and a renewed strength comes. When that time comes, it doesn’t mean you have forgotten. It simply means you are moving forward with a new beautiful scar on your heart. The tunnel is never easy but the words of Psalm 34:18 (ESV) encourage my heart: “The LORD is near to the brokenhearted and saves the crushed in spirit.” Friends, let’s thank Him today for His goodness even in the sorrow. And let’s remember we are never, ever alone. Thanks for reading! I love to get to know new friends. Feel free to check out my personal blog at www.trialsbringjoy.com or on Instagram at @chels819. October is Pregnancy & Infant Loss Awareness Month. 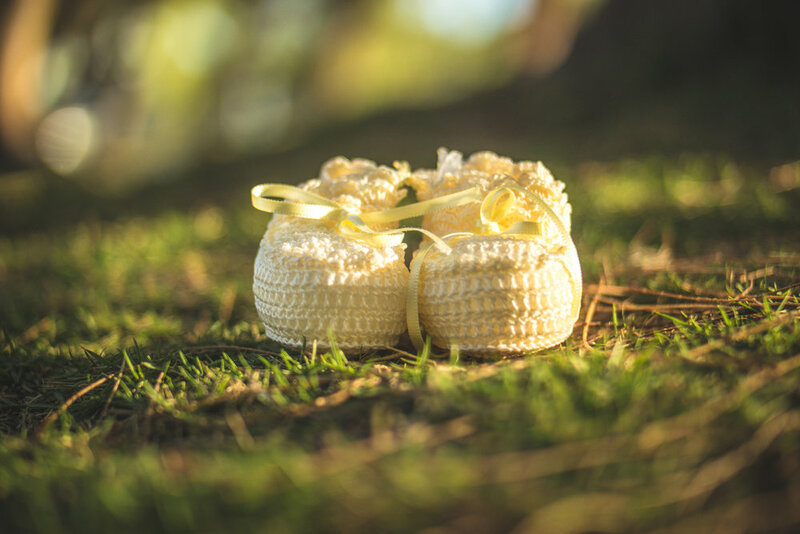 For the month of October, Natalie Brenner Writes will be hosting a few precious and ever so tender stories about families who have lost babies, whether through pregnancy loss or infant death. My heart and hope is to shed light on the reality, to let others know that they are not alone, and to also *hopefully* reveal some tips on ways to support someone who has lost their so loved and so wanted baby. Meet my friend Andrea, and her beautiful family. Wife to Daniel, momma to Paige and Baby April who is in heaven. I am so honored to have Andrea share their story of losing their precious little baby. I will never forget sitting on the couch messaging her, asking her about her miscarriage. I eventually asked her what the due date was...and I began sobbing as soon as I saw it. We had shared the same due date this year. In April 2015 we lost our second baby at 10 weeks. I went in for my first ultrasound, so excited to be pregnant again. My doctor was having a hard time getting a good picture of the baby, she called in her ultrasound tech which didn’t have me worried. It was when she asked me to hold my breath, twice, I knew something was wrong with our little baby. They couldn’t find a heartbeat and just like that we lost that little soul. I knew all the risks and complications that come with being pregnant but I never thought this could happen to me. How could God let this happen to me. I was so mad at him. My daughter was going to be a big sister, we would have two just in time for Christmas. 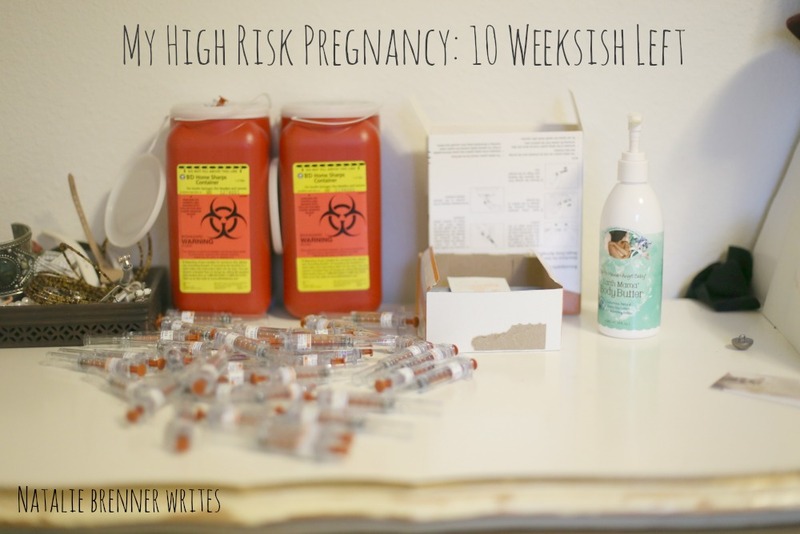 In those ten short weeks I had the rest of our lives planned out. 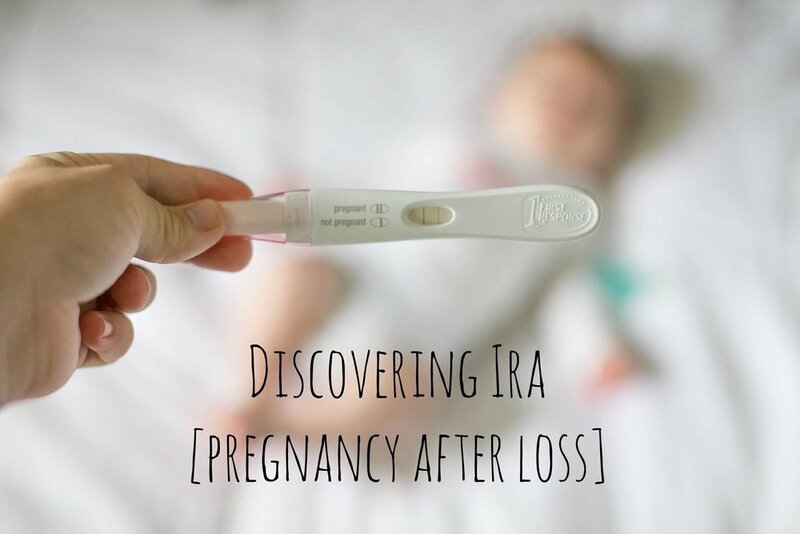 It wasn’t just the pregnancy that got taken away, it was so much more. The next couple months were the hardest months of my life. I felt like I couldn’t keep going, why keep going? I had a hard time taking care of my daughter. I didn’t work for about a month. It was hard to do anything. I remember going to the grocery store a couple days after we had found out and just breaking down. All these people were freaking grocery shopping and I had a baby inside of me with no heartbeat, it wasn’t fair. It was hard for me to see people going on with their lives like nothing had happened. I never realized until it happened to me that a miscarriage is the loss of a child, no matter how far along you are. My baby had died and I was a mess. People told me ‘well at least you know you can have a healthy baby’ or ‘be thankful you already have a daughter’ I don’t think people were trying to hurt my feeling but those words hurt so bad. I know I have my daughter and I am so grateful for her bright personality but it’s just not what I needed to hear at the time. I needed someone to tell me it was okay to feel the way I was feeling, I needed someone to sit there and be sad with me, to be mad. I am still coming to terms with this whole thing. Some days it slips my mind and some days it’s all I can think about. That precious little baby should be in my arms early November. It is hard when I see ladies who are about as far along as I would have been. It is a pain I don’t think will ever go away. I talk about it and want people to know, I want people to know what my family has been through and about our loss. I want to let people know it’s okay to talk about, I don’t want to act like it never happened. It shouldn’t be something people feel they can’t talk about. I want everyone to know I have had two kids and I love them both with all my heart and can’t wait to see by baby that was too beautiful for this earth. My life is forever changed no matter how many more kids I do or don’t have. Meet my dear friend, Holly. Wife and momma. Hard worker and loving kindness. I went to church with Holly when I was in High School. 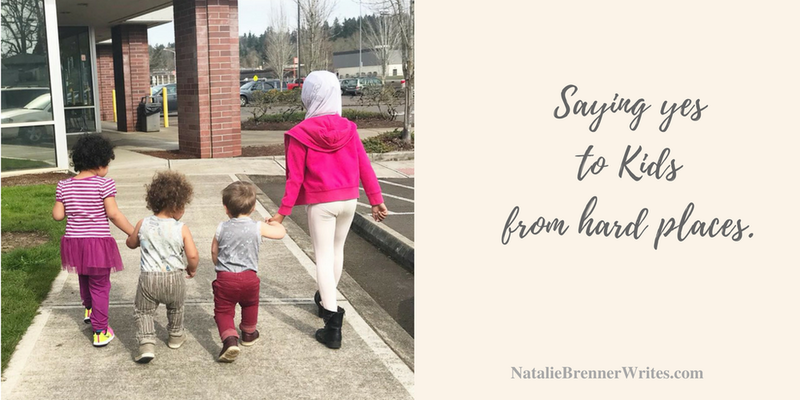 Fast forward a few years and she contacted me when she was pregnant with Jaxon, letting me know that she had already endured a miscarriage, wondering if I had any tips on how to healthily go about this second pregnancy. (I am a doula). 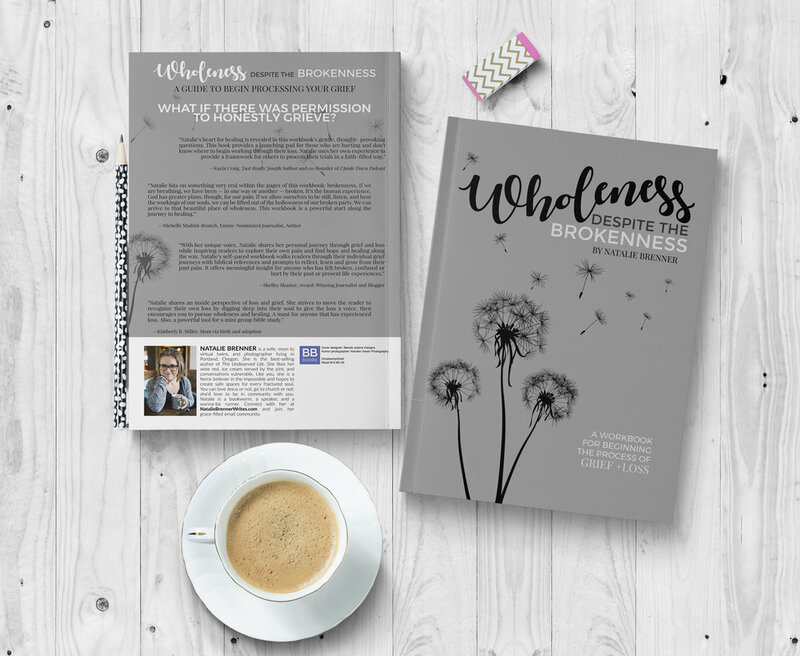 Two months later I am walking through my own darkness of miscarriage so I reach out to her, hungry for validation and prayer. Thank you for sharing, Holly. I am a mother. Not because I carried a baby for 9 months or because I delivered a new person into this world, but because we conceived. I was 20 years old and on July 10th, 2013 a spark ignited in my womb and life was created. I know this was the day of our baby’s beginning as this was the day my husband proposed to me. The evening was so full of joy and excitement as our dreams were becoming true that we couldn’t contain ourselves and I will never be ashamed of it since it was through that love expression, God spoke and life was made, even out of the marriage covenant. Before I left for my first wedding dress fitting 4 weeks later I saw the positive sign on the pregnancy test. I was shaking. Partially due to nerves but more so the love that flooded me as I placed my hands over my womb and knew there was a life in there for the first time! Beautiful! I told my fiancée the news the next day and after a few deep breaths he said with tears in his eyes, “I’m going to be a daddy? !” and so the hugs and tears commenced. One week. One week was all we had with our first child before I just didn’t feel right. We went to the doctor who scheduled an ultrasound by which we were able to see the sac where he was so cozy but our little one was still too small to be detectable at 5 weeks old. We went home assured that everything was fine but the next day I bled and it didn’t stop. We were told that 1 out of 5 pregnancies end in miscarriage; especially the first confirmed pregnancy a woman bears, then we were sent on our way. The pain I felt not only physically from the cramps but emotionally I can never express. “I am so sorry…” was all I could utter to my fiancée as we sobbed together that night. I remember holding it because I didn’t want to see the reality the blood produced and I remember when I flushed my innocent baby. I knew it was him and not just another clump. I could feel it. A mothers’ intuition. Guilt and shame clothed themselves on me like dirty rags after that. I couldn’t enjoy myself. It was wrong to feel happy when my baby was dead. I had killed him with my worry. It was my fault he never saw sunshine or got to experience rain on his face. It was my fault I never got to feel him kick or hear his heartbeat. I caused this… These words the Enemy spoke over me 24/7 in the months that came after that. When my 21st birthday came that December I choked down every drink as best as I could. How dare I consume this! If he was still here I wouldn’t be able to. It was a slap in my face that he was gone and I was empty. Everyone told me I did nothing wrong, that it was just what happens, that our baby was alive and well in heaven and I would meet him someday. I felt supported and comforted by people trying to help but if I am honest there was nothing comforting about these truths. It was just another reminder that he wasn’t here. I wish I could give some sort of sage advice to those of you who are seeing friends or family members walk through this type of loss but, I can’t, since I have fallen speechless as I have been in your shoes, watching dear friends and family members grieve. Even going through it myself I too have only been able to say sentences that begin with that horrid “at least he didn’t…” statement and no matter how many times I say “I am so sorry for your loss” I know it is of little help. What I can tell you though is that prayer is the only weapon we have to help our loved ones when unexplainable loss has occurred. Guilt and shame are wretched tyrants who attack when we are low and cause fear that we will never be whole, never be okay and never not be a failure, but Gods word says in 2nd Timothy 1:7 “He does not give me a spirit of fear, but of power, love and of sound mind.” So pray over your friends and family. Encourage her that it isn’t her fault. That her baby was appointed and created by the Lord of All, just for her in that time and when his life had fulfilled Gods purpose he was called to come home just as we are at. I wish I could take away the pain you feel, dear sister. Know you are not alone in feeling like it was by something you did to cause this turn of events. You did everything right by loving your child from day 1. You did everything right as your baby’s protector and nurturer. You did it, Mommy. Now rest in your Fathers’ arms of healing and put your faith in His love letter to you. Psalms 139 is His comfort to you right now! The Enemy is allowed no ground in your heart to sow seeds of guilt and shame, so attack him back with the Shield of Faith! Stand as your child’s protecting mother and declare that your baby’s life had a purpose and a reason. He/She is not a waste! Your son or daughter is an angel, given to you from a loving God who knew that is exactly what you needed in the time you had him or her. Celebrate your baby’s life, speak of him or her. Mention his or her name out loud in honor since their lives had just as much meaning as those who live 100 years! Psalms 103: 2-4 "Bless and affectionately praise the Lord, O my soul, And do not forget any of His benefits; Who forgives all your sins, Who heals all your diseases; Who redeems your life from the pit, Who crowns you [lavishly] with loving kindness and tender mercy." My name is Holly Strasheim and I am a daughter of a King, wife to a man after Gods own heart and a mother to two children. One very active baby boy named Jaxon and one very loved baby in heaven. It was nice to meet you! Meet my friend, Cimarron and her husband Mike. She is your local Starbucks barista (if you live in Nampa, ID), wife, mama, and youth group leader. She is thoughtful and kind and a dear coffee friend. I hope you are as honored as I am to hear their story about the precious little one they lost, how their marriage was affected, and how they have walked through. I remember every detail of that spring day like it was yesterday even though it happened over 4 years ago. I started the day by making scrambled eggs for my girls who were 2 and 1 at the time. The last couple days I had light spotting but that happened when I was pregnant with the girls so I didn't think anything of it. I had an appointment later the next week with my OBGYN but shortly after breakfast I realized my bleeding was getting worse. I also started experiencing cramps and realized I needed to see my OBGYN soon. My OBGYN got me in that very morning so I called Mike and had him come home from work to take me. I knew something wasn't right but I still didn't expect what was going to happen. Not sure how long my OBGYN appointment would be I called my friend Canada and asked her to take my girls. She being the amazing friend she is told me to bring them over. We dropped the girls off at Canada's house and headed to my OBGYN. By the time we got to the OBGYN I was starting to bleed through my jeans. The nurse performed an ultrasound and had the OBGYN come in. We received news from the OBGYN we never had before. He told us I had a miscarriage. After two normal pregnancies I had a miscarriage. The OBGYN prescribed a medication to help me through the rest of the process. We went across the street to Walmart and walked around while we were waiting for it to be filled. Mike kept telling me I should eat something because I had lost a lot of blood and it was now lunch time. I just told him I would eat when we got home. We were standing in the check out line and I started to feel light headed. Mike stayed in the line to check out and I walked over to the McDonalds in Walmart to get some lunch. As I was waiting in the McDonalds line I started to feel dizzy and even more light headed. Within minutes of being in the line I passed out and fell to the ground. As I fell to the ground a friend from church walked into the McDonalds and was right there holding my hand when I woke up. She and another customer asked if I could make it to a bench and I said that I could do that. I was wrong though and once again passed out. Mike came in to see me surrounded by this friend from church and other customer. The paramedics showed up right after Mike and got me sitting in a bench. They took some vitals and said it would probably be a good idea for me to go the ER. Mike said absolutely take her and I was loaded in the ambulance. I remember I was loosing so much blood I had now bled through my jeans and onto the McDonalds seat. At this point my dear friend Canada had been taken care of my girls for the entire morning and into the early afternoon. Mike called her to give her an update and she said I will take care of the girls as long as I need to. In the ER I was given fluids and food. They released me later that afternoon. I was no longer feeling dizzy or light headed. We got to my friend Canada's house where her and her husband told me to just sit down and take it easy. They had taken care of them all day and given them lunch. Mike and I loaded up our girls and headed home. Both of us were still processing the news the OBGYN had given us earlier that day. Mike was dealing with the fear he experienced with me looking white as a ghost in that ER thinking he may lose his wife too. It was getting close to dinner time and our girls were hungry but we were not feeling up to cooking. It was about an hour after we got home when the door bell rang. It was the very friend from church who helped me in McDonalds. She was bringing us pizza and salad so we didn't have to worry about dinner. We received text messages and comments on Facebook that night from so many friends and family offering their love, prayers and support. That day was one of the worst days Mike and I have ever experienced together. I will be honest with you and tell you the next few months were the hardest in our marriage. The miscarriage was hard to process for both of us and exposed some things we needed to fix in our marriage. It was in the hard months and the day of my miscarriage we relied on our church family. Our biological family offered some support but it was our church family that saw us through. They heard our struggles without judgement and offered Godly wisdom. Our church family encouraged us to keep fighting and prayed for us daily. They also encouraged us to seek God's Word. After some advice from our senior pastor I made the decision to go through a Celebrate Recovery 12 step class. It was life changing for me. I would not have made it through the class if I didn't have my brothers and sisters in Christ supporting me. In March Mike and I will be celebrating our 10th anniversary and our marriage is stronger than ever. I fully believe that as Christians we are meant to live life together and be completely real with one another. I share our story so you can see the blessing of having a church family. It is how I believe you make it through the happy and the hard times.